Federico Hurtado has enjoyed a near perfect start to his career with Torquay United. But, as seen in the previous post, being in a league with just the one automatic promotion spot has cost them. 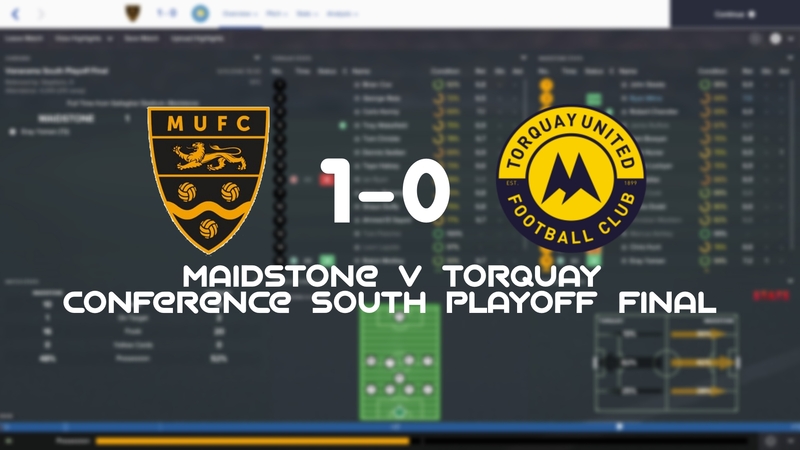 Torquay finished 2nd in the Conference South but lost in the Playoff final. After 42 games Torquay United finished in 3rd place and one of the favourites to go up through the playoffs. Four points away from automatic promotion meant that Hurtado and his men would have to face off against the four next best sides in order to return to the Conference. In the Semi-Final Torquay were drawn to play Welling. Torquay outclassed the London based club as they won 6-2 over two legs, meaning that they would meet Maidstone in the Final. But sadly it wasn’t to be. Maidstone earned their promotion over a tired Torquay side. Although the defeat was narrow, Torquay really didn’t show any signs of winning the match and fell to a disappointing defeat. 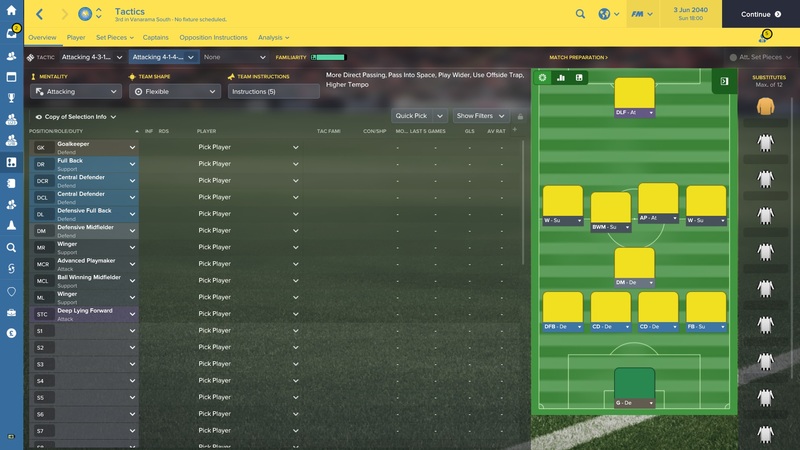 Federico Hurtado, new to lower league management, began his career with Torquay by playing a standard 4-4-2. His thought being that with lesser quality players a simpler gameplan was needed. However with around 25 league matches gone, Torquay were not playing consistently enough and a change was needed. Our defenders were getting poor ratings in most matches and our forward players were struggling for success in attack. We decided to move one of our strikers back into a DM position, which meant that one of our CM’s became a more attacking advanced playmaker. Our strength, in terms of players, was in centre midfield. With our changed formation we were able to play another strong central midfielder in place of our second best striker, thereby improving the quality of our starting XI. Two of the most important tactical instructions added to our formation are ‘More Direct Passing’ and ‘Pass Into Space’. Reise Bailey was brought in specifically to play as a pacey striker looking to run onto through balls. With decent numbers in the highlighted attributes, Federico Hurtado expected Bailey to perform well in our team. Indeed, with his 13 acceleration and 14 finishing, Bailey went on to score 27 goals in the season. So, did our change of formation work? With a stronger first XI, could Torquay adapt and play more consistently with the same style of play but in a different setup? Let’s take a look and see if changing our formation improved our side. The key facts, shown in bold above, clearly highlight the improvement shown in Torquay’s fortunes after changing formation. And despite changing to a more defensive formation it was in attack where we really improved. We won a higher percentage of matches and scored more goals per game. However, we did concede slightly more goals per game using the 4-1-4-1 compared to the 4-4-2. Perhaps by using a more defensive formation we allowed teams to attack us more, therefore allowing them more chances to score. But conversely, by having teams attack us more we were afforded more chances to counter with our direct style of play, meaning we created more chances to score ourselves. The clear goal for next season has to be to win the league and earn automatic promotion. Torquay came so close this year, but another failure next year would be a huge setback for Federico Hurtado. Let’s hope that the change in formation will prove successful in the long term and help Torquay return to the Conference. VivaTorquay will be written in seasonal posts, with the next post focussing on our 2040/41 season. Although I thought about writing two posts per season, having discussed with a couple of other people through social media I now feel that this is the best format for the series. 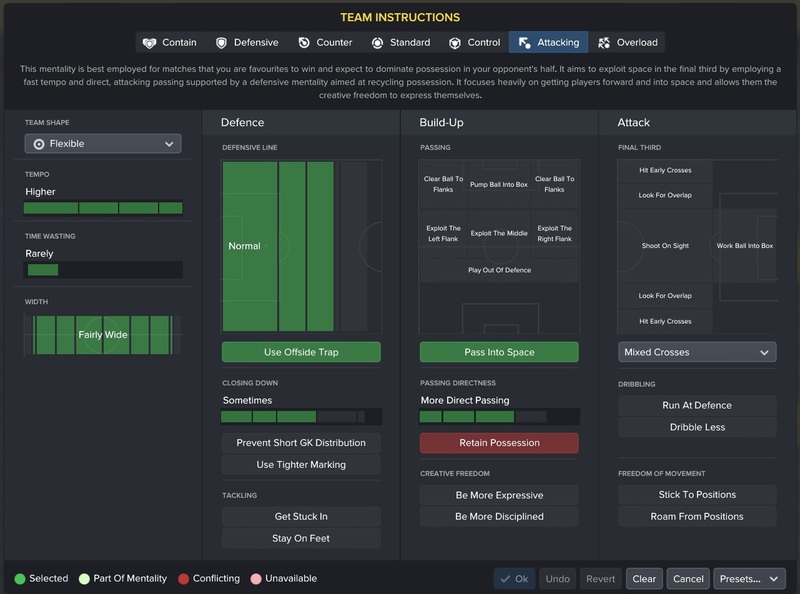 This entry was posted in FM17 Stories, Football Manager 2017, VivaTorquay and tagged conference south, england, federico hurtado, fm stories, fm17, football manager, torquay united. Bookmark the permalink.